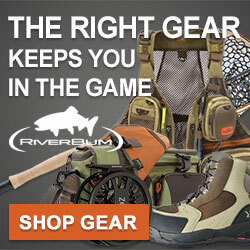 You can buy Outdoor Adventures merchandise anytime you want. At 5’6″ 140lbs a medium fits me perfectly. Check out the store below. Awesome! Order will be placed by the weekend. Thanks! did u quit your job already?? Respect this wings Pinguin, Go Capitals. Love that logo, so cool. I'm looking forward to your 2019 AT Adventure! Order placed! June 29th!!!!! Hoping it would get here by my 4 day AT adventure but it will be cutting it close. Looking forward to sporting the channel, i was bummed when I missed it last year! Oh and GO CAPS!!! Sorry, couldn’t help myself, we have come so close so many times over the years and so often spoiled by those damn Penguins!!! Sweet! I missed the first round. Looking forward to my shirt. Order placed! Hey guys when ordering these shirts buy it 2 sizes bigger.. I bought a 2xl and it shrunk to a medium..
Love your videos and good luck on your upcoming adventures. I subscribed to your channel about two years ago and because of you I started using a hammock. This past February I had a pretty bad motorcycle wreck and have been told it will be about a year before I can get back out on the trails, and living 1 hour from RRG it is killing me, but your videos keep me in the wilderness. I truly enjoy your content and look forward to new vid's, be safe..
Order placed for a t-shirt this will be my main trail shirt on day hikes!